This weeks Friday 56 is a bit late. I was super busy yesterday and wasn’t able to get it posted. 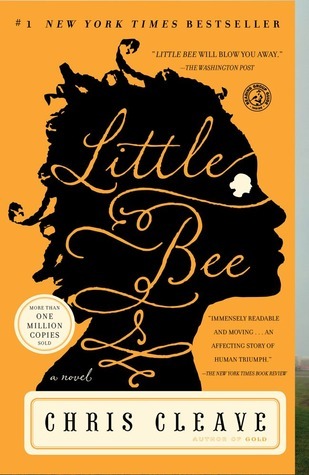 Little Bee has been on my TBR list for a while now and it’s almost at the top of the pile. Ha! I could hardly write that without laughing. As is my way, there will probably there will probably be another book that manages to push its way to the top. The girl in the yellow sari, she was amazed by the taxi car. I think she was like me and she had never seen such a big and new and shining white car. She walked all around it and stroked her hands across its surfaces and she wain, Mmmm. She was till holding the empty see-through bag. She took one hand off the bag and traced the letters on the back of the car with her finger. She spoke their names very slowly and carefully, the way she had learned them in the detention center. She said, F…O…R…D…hmm! For! When she got to the front of the car, she looked at the headlights, and she blinked. She put her head on one side, and then she put it straight again, and she looked the car in the eyes and giggled. I have had this book wishlisted for a while now. I hope you enjoyed it! Sorry I’m late to comment. Happy weekend! !